The legendary Arnold Palmer is to build his first golf course in the Home of Golf in a partnership with the world renowned Castle Stuart Golf Links in the Scottish Highlands. The Arnold Palmer Group has confirmed it is joining forces with Castle Stuart’s managing partner Mark Parsinen and his team to collaborate on a spectacular new 18-hole links course on the Moray Firth near Inverness. 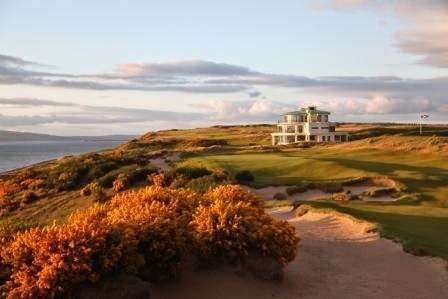 The new venture will complement the existing course at Castle Stuart, built by Parsinen and Gil Hanse and which has achieved worldwide acclaim since opening in 2009. Plans for the venue’s second iconic course will be submitted within two months and it is envisaged work will get underway early next year, ahead of the return of the Scottish Open to Castle Stuart for the fourth time in six years. It is planned to have the new links open for use by 2019. The partnership deal was announced by Arnold Palmer at his Invitational tournament which is being held this week at the golfer’s Bay Hill Club in Orlando, Florida. Discussions on the project have been ongoing for some time and members of the Palmer team have visited Castle Stuart several times recently. Arnold, himself, commented: “I have had a strong affection for Scotland since I first went there in 1960 to play in the Open at St. Andrews. I have returned many times since, including a memorable victory in the Open Championship at Troon in 1962. Mark Parsinen, who also co-designed Kingsbarns Golf Links in Fife, said; “We have been in discussion for more than a year now with the Arnold Palmer Group and we are delighted that it has joined the partnership at Castle Stuart Golf Links. The new course will be similar in length to the existing 7,193-yard links and will feature spectacular views across the Moray Firth as well as the 17th century castle which gives the course its name. Stuart McColm, Castle Stuart Golf Links’ general manager, added: “This is fantastic news, not just for Inverness, but for the Highlands and for Scotland. We at Castle Stuart have focused on working with other partners to promote the Highlands as a world class golfing destination and this announcement that the Arnold Palmer Group wants to partner with us can only enhance that reputation. The development is another major milestone in the short but spectacular history of Castle Stuart Golf Links. It has achieved global acclaim in its first six years and was placed at No. 56 on Golf Magazine's Top 100 Courses in the World in 2013. It staged the Scottish Open for three successive years from 2011-2013, with the 2013 championship, won by Phil Mickelson, reaching a worldwide television audience of more than 500 million, including weekend live coverage on NBC USA. The championship, sponsored by Aberdeen Asset Management and the Scottish Government, will return to Castle Stuart in July, 2016. Amazon set to expand its hotel offering?